XINNIX, The Mortgage Academy of Excellence is designed to sharpen the skills of the most seasoned mortgage professionals and produce highly successful new mortgage professionals. XINNIX is considered the nation’s finest mortgage institution by partners and students. One of the main reasons Inlanta Mortgage continues to attract high producing mortgage professionals is our commitment to training. We maintain an ongoing partnership with XINNIX, The Mortgage Academy of Excellence. To learn more, click here. Inlanta Mortgage hosts various seminars and other training activities to ensure our loan officers are kept abreast of changing regulations, loan program guidelines, and market conditions. To learn more, click here. 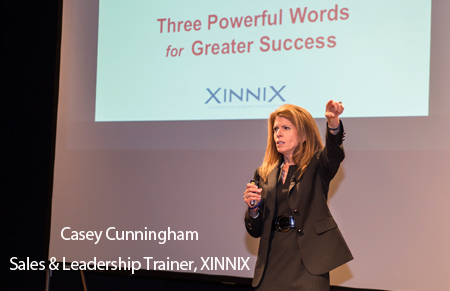 Inlanta Mortgage recently held a XINNIX leadership training session which all Inlanta Mortgage branch managers attended. To learn more about this training session, click here. Inlanta Mortgage is delighted to announce a training partnership with XINNIX, The Mortgage Academy of Excellence. XINNIX provides an integrated suite of programs and services designed to coach and mentor loan originators. Read more here. Every year, Inlanta Mortgage branch managers assemble to discuss issues facing our industry, ways to improve of our internal processes and procedures, and to lay out a growth plan for the rest of the year. To read more, click here.